I've always wanted a robotic version of myself! Knack's co-op gameplay announced back at Gamescom finally has some screens. Knack Creator and PS4 system architect Marc Cerny says he designed a second playable character to help kids learn the game by playing with their parents. The second character has a uniquely robotic look to him and can assist in combat and solving puzzles. The primary player will still be in sole control of all story progression. 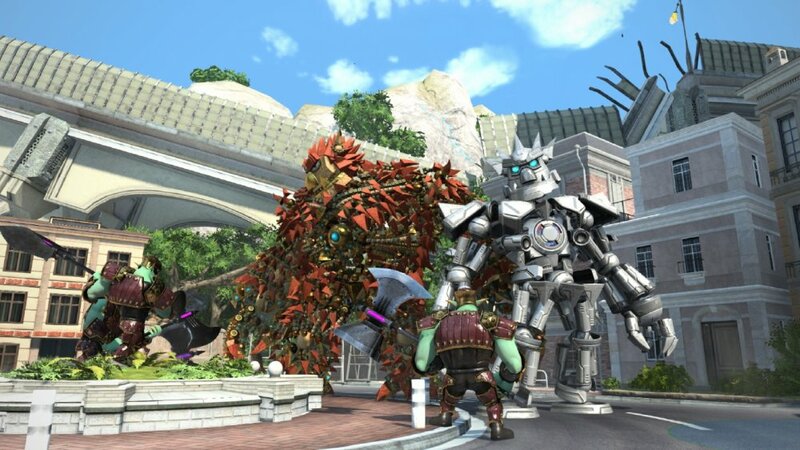 Robot Knack can still chomp down on parts to grow larger just like his more natural-looking counterpart to ensure he can smash Goblin fools just as well as the real McCoy. He also has an ability that allows him to lend health (in the form of parts) to the standard Knack when player one gets damaged. Having a robotic version of yourself seems pretty sweet, but doesn't it kind of dampen the awesome if you're also a robot-thing? Isn't that some kind of double negative? Original Recipe Knack does possess the ability to incorporate non-metallic items into his form, though Robo Knack so far appeared exclusively in "chrome metal" flavor. 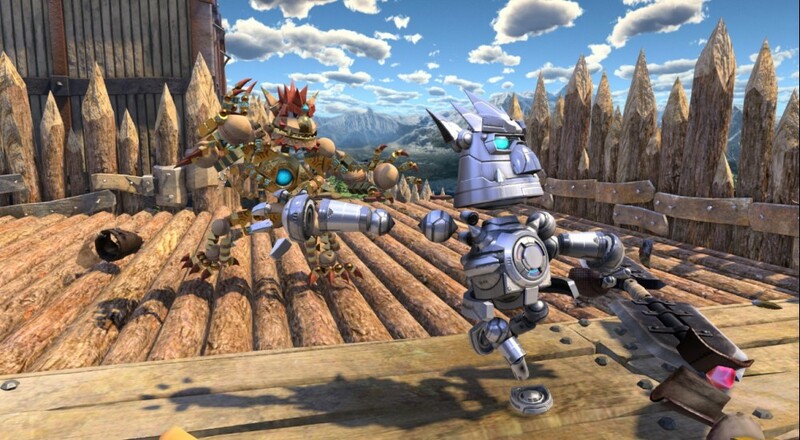 We'll learn more about Knack's robotic buddy when the PS4 launches November 15th.